← Can GPON SFP Be Plugged Into My Own Switch? Mini GBIC vs SFP: Is It the Same? We’ve got very familiar with GBIC transceiver: short for gigabit interface converter, it is developed in 2000 as a hot swappable transceiver that commonly used in Gigabit Ethernet and Fiber Channel. But as the demand for higher bandwidth and transmission speed keeps accelerating, more ports are needed to be fit in a line card. So Mini GBIC module is developed to provide more interface in the same line card. Mini GBIC is a smaller version that only half the size of GBIC transceiver. So what exactly is Mini GBIC module? Mini GBIC vs SFP: Is it the same? This article will handle all the confusions for you. What Is Mini GBIC Transceiver? Mini GBIC, also called SFP transceiver (SFP means small form factor) was announced in 2001. It has the same functionality with former GBIC module but built with a smaller form factor. Mini GBIC and SFP transceiver actually refer to the same thing, and they are interchangable. Mini GBIC transceiver is a compact, hot-pluggable module that can be installed and removed while the switch is powered on. Mini GBIC provides flexibility for using fiber Gigabit connections in both data and telecommunication applications. So the shipment of Mini GBIC had soon outgrown GBIC transceiver and secured its position in Gigabit SFP based network. What Is a Mini GBIC Used For? 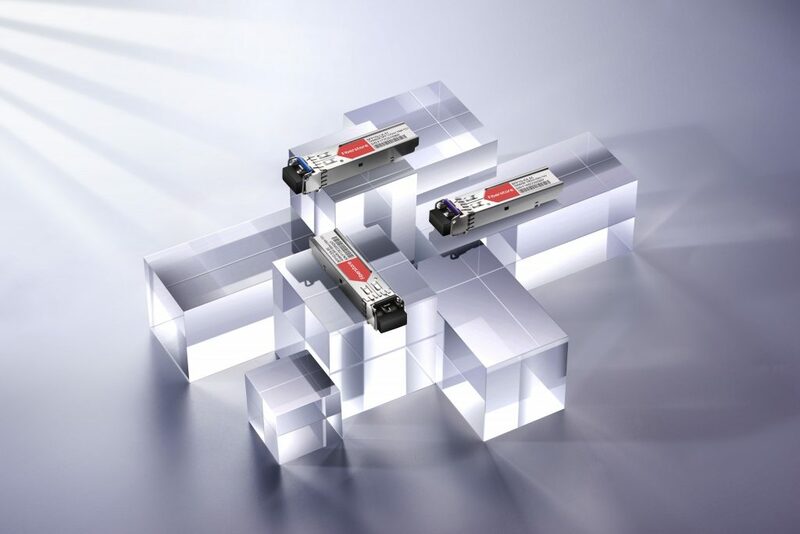 Mini GBIC transceivers allow technicians to easily configure and upgrade electro-optical communications networks. It is a plug-in module that can be removed and replaced without turning off the system. Mini GBIC transceiver is typically employed in fiber optic and Ethernet systems for high-speed networking. The data transfer rate is one gigabit per second (1 Gbps) or more. Mini GBIC is designed for high performance integrated duplex data transmission over optical fiber. It can support SONET, Gigabit Ethernet, Fiber Channel, and other communications standards. Mini GBIC can be classified into different groups according to data rate, operating wavelength, transmission distance and so on. Divided by rate:155M/622M/1.25G/2.125G/4.25G/8G/10G,155M and 1.25G market is more used. Divided by wavelength : 850nm/1310nm/1550nm/1490nm/1530nm/1610nm. The 850nm wavelength is SFP multimode, and the transmission distance is up to 550 m.
1310/1550nm is SFP single-mode, and the transmission distance ranges from 2 km to 80 km. The bare Mini GBIC module basically has no difference if they have no mark. So manufacturers make different colors of pull ring to distinguish them. Purple is the 1490nm module and so on. Mini GBIC transceiver has the advantages of small and low-cost to meet the needs of high-density transmission. So it has replaced GBIC transceiver to become mainstream in the data center. FS.COM offers a broad range of Mini GBIC transceiver that fully compatible with major brands on the market. Each of our optical transceivers is tested on the brand switch in the strict environment to ensure performance and reliability. For more details, please visit www.fs.com or contact sales@fs.com. Related Article: SFP Module: What’s It and How to Choose It? 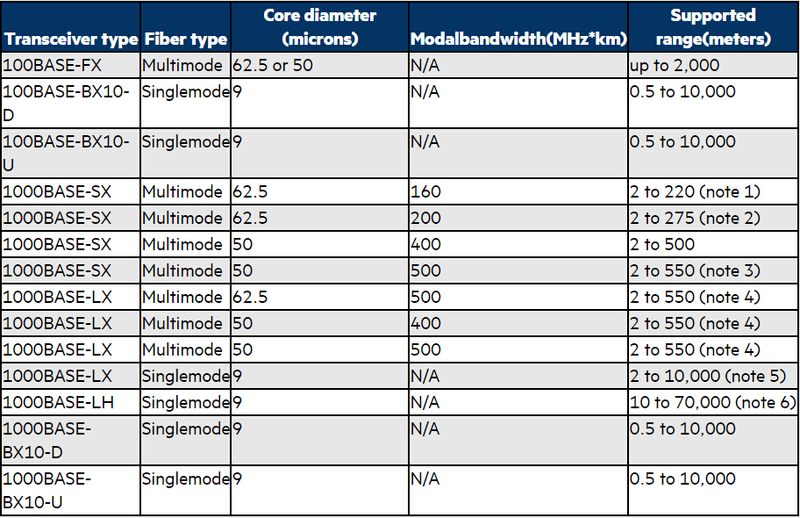 This entry was posted in Fiber Optic Transceivers, GBIC, SFP and tagged mini gbic vs sfp, Mini-GBIC, optical transceiver, SFP transceiver, transceiver module. Bookmark the permalink.